Gold always exudes luxury so by default, our gold plug socket with black or white inserts will introduce a touch of opulence to any room. If you are refurb’ing your interiors, it’s always worth upgrading your plug sockets at the same time – and do go designer. 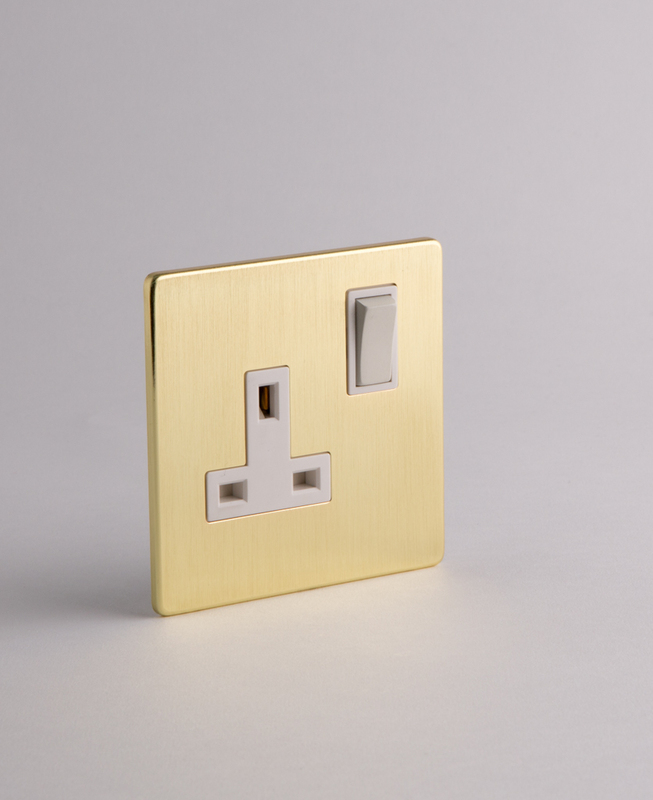 Our contemporary gold single plug socket is part of our opulent brass sockets, light switches and dimmers range. Its brushed finish softens the, what can sometimes be, harsh brass to a rather lovely golden glimmer. It’s a high-quality wall socket and feels robust to handle and is built to last. 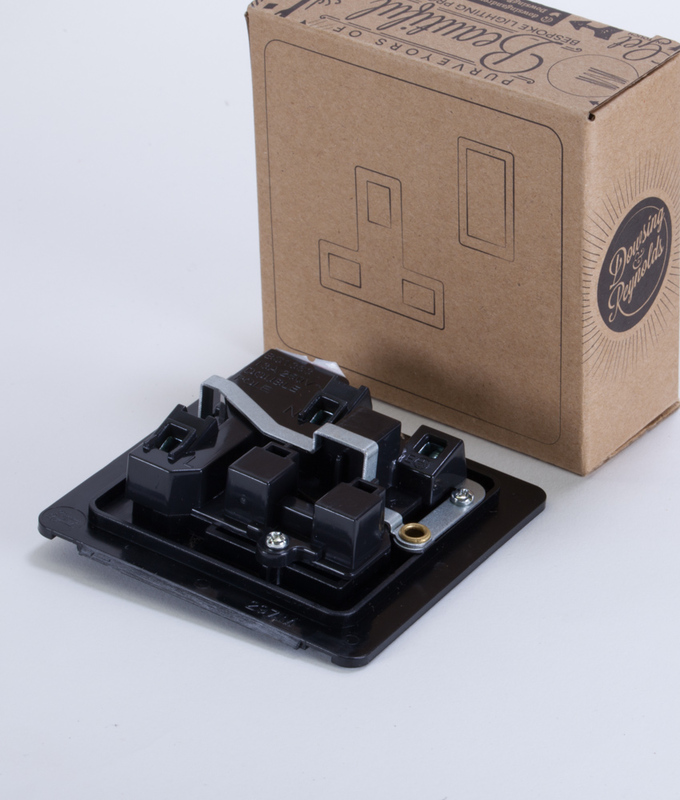 We’ve designed this socket, and a whole range besides, plus only we sell it. Perfect if you prefer your fixtures and fittings to be a little more individual than something you’d find at your local DIY store. We hear you. We love this designer brass plug socket on a dark painted wall or, against some stand-out feature wallpaper – think grey concrete. If you love a dark and moody style with a bit of mystery thrown in for good measure then this is the plug socket for you. Dramatic words for a humble plug socket maybe, but we don’t think so, bad sockets could wreak havoc on your interior design karma. Trust us. Gold really is a versatile colour to work with; it goes with any other colour that has warm, yellow undertones and is a sure-fire success with black, grey, navy blue, rich reds or deep greens. You decide.